Costa Rica appears to be distancing itself from an ambitious goal to become the world’s first carbon neutral country by 2021, according to a statement from Casa Presidencial laying out the country’s U.N. 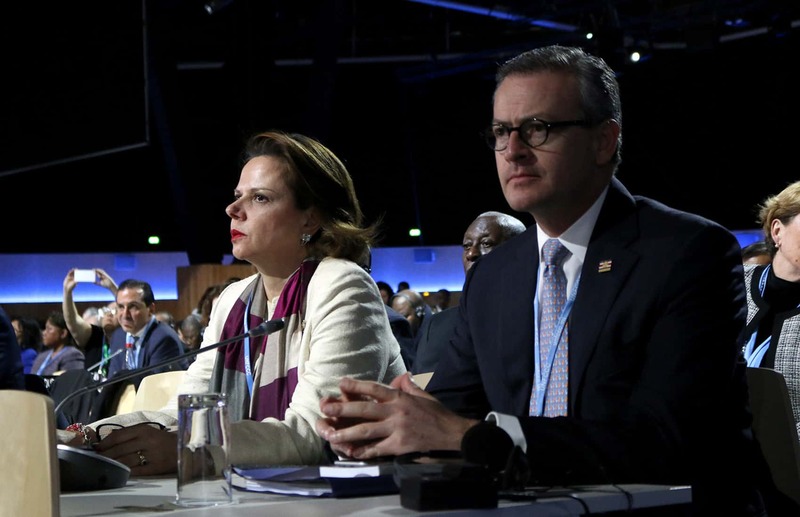 Climate Change Summit in Paris proposal presented Monday. The 2021 goal has been criticized as arbitrary — it’s the 200th anniversary of the country’s independence from Spain — and unrealistic in the past. But President Luis Guillermo Solís reaffirmed his commitment to the target during a speech to the U.N. General Assembly in September. Besides the goal of reaching carbon neutrality by 2085, the Costa Rican delegation proposed a system that would measure carbon emissions by person, capping per capita carbon dioxide emissions at two metric tons by 2050 and one metric ton by 2100. The proposal also said that Costa Rica supports an “ambitious, legally binding and fair” agreement that limits global temperature increases to no more than 2 decrees Celsius, according to a statement from Casa Presidencial. The Solís administration may be distancing itself from the 2021 deadline but that doesn’t mean Costa Rica isn’t already far ahead of many countries when it comes to generating clean energy. According to the Costa Rican Electricity Institute, the country has been able to meet its electrical generation needs for 255 days without fossil fuel so far this year, as of Nov. 17. But Costa Rica heavily relies on fossil fuels for transportation. Cars and trucks account for 70 percent of all petroleum consumed in Costa Rica, and 40 percent of the country’s total carbon emissions. Vice President Ana Helena Chacón, who is heading the Costa Rican delegation in Paris, said that climate change negotiations should remain focused on human rights and gender equality. “From one of the planet’s most vulnerable regions, we argue that climate action must include not only significant reductions in greenhouse gases but also adaptation measures that guarantee that communities — especially the most vulnerable— improve their resilience and human development,” said Vice President Ana Helena Chacón, according to a statement from Casa Presidencial.